Any refit of the Izumo would be aimed at preparing for a scenario in which runways in Japan had been destroyed by missile attacks, and at bolstering defence around Japan’s southwestern islands, where China’s maritime activity has increased. 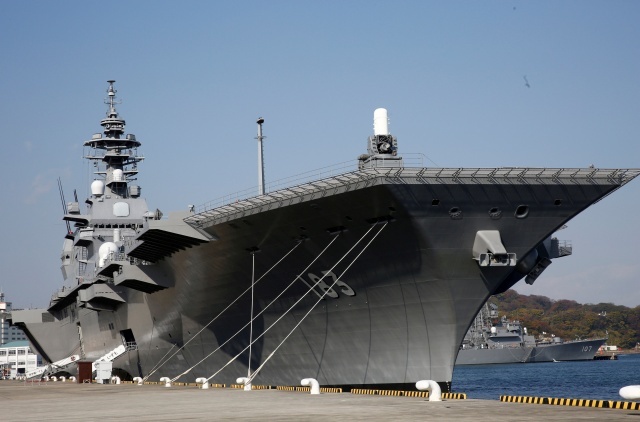 The 248-metre (814-feet) Izumo, Japan’s largest warship equipped with a flat flight deck, was designed with an eye to hosting F-35B fighters. Its elevator connecting the deck with the hangar can carry the aircraft, the sources said. Possible refitting measures included adding a curved ramp at the end of the flight deck, improving the deck’s heat resistance against jet burners, and reinforcing the ship’s air traffic control capability, they said. “Regarding our defence posture, we are constantly conducting various examinations. 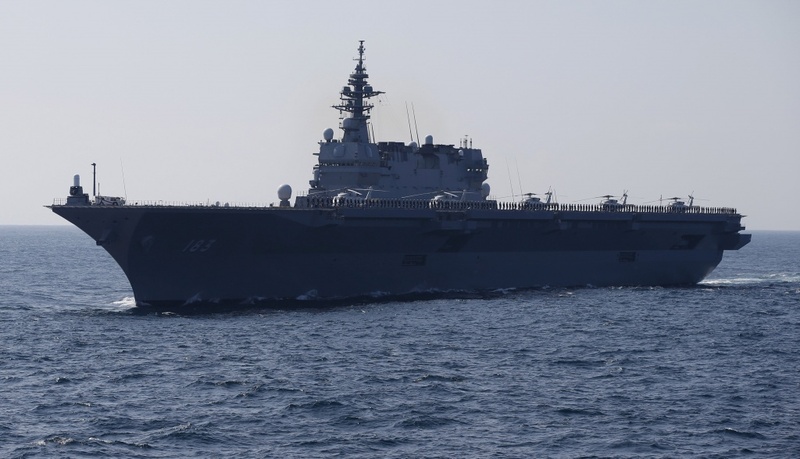 But no concrete examination is under way on the introduction of F-35B or remodelling of Izumo-class destroyers,” Onodera told reporters on Tuesday. The Izumo has a sister ship called the Kaga. Japan has frequently conducted joint drills with U.S. aircraft carriers in recent months to boost deterrence against North Korea. One of the three government sources called such exercises “a great opportunity to see with our own eyes how the U.S. military operates their aircraft carriers” as Japan looks into the possible conversion of the Izumo into an aircraft carrier. Regional tension has soared since North Korea conducted its sixth and largest nuclear test in September. Pyongyang said a month later it had successfully tested a new intercontinental ballistic missile that could reach all of the U.S. mainland. Japan is also wary of China’s long-range missiles, and would like to secure measures to launch fighters from aircraft carriers in case runways operated by U.S. forces in Japan or by Japan’s Air Self-Defence Force were destroyed by missiles. Article 9 of Japan’s pacifist constitution, if taken literally, bans the maintenance of armed forces. However, Japanese governments have interpreted it to allow a military exclusively for self-defence. Owning an aircraft carrier could raise a question of constitutionality, the sources said, so the government is set to address the issue in its new National Defence Programme Guidelines to be compiled by the end of 2018.